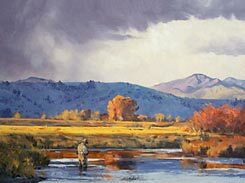 Texas born artist Eldridge Hardie received his Bachelor of Fine Arts degree in painting from the School of Fine Art at Washington University in St. Louis in 1964. He has made Colorado his home for 40 years. Hardie is well known to collectors of fine sporting art. He was honored with the first ever one-man retrospective exhibit at The National Bird Dog Museum. 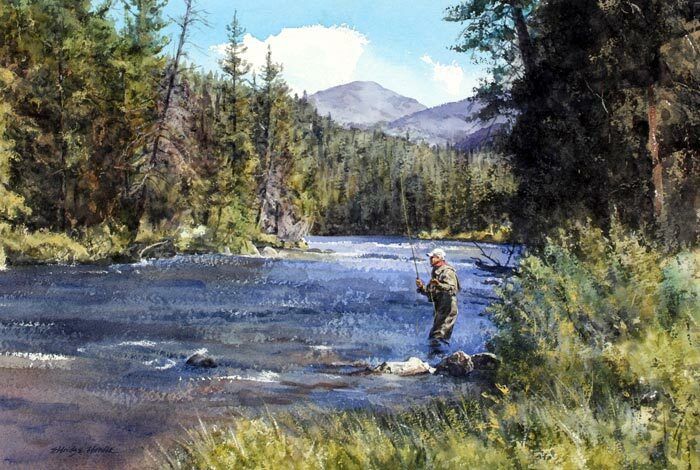 He has exhibited at Artists of America, Great American Artists, the Gilcrease Museum, The C. M. Russell Museum, The Wildlife Experience Museum, The National Museum of Wildlife Art, and the American Museum of Flyfishing. The Paintings of Eldridge Hardie – Art of a Life in Sport, a book spanning four decades of the artist’s career was published in 2002. Here is an example of the unanimously enthusiastic critical acclaim it has received. 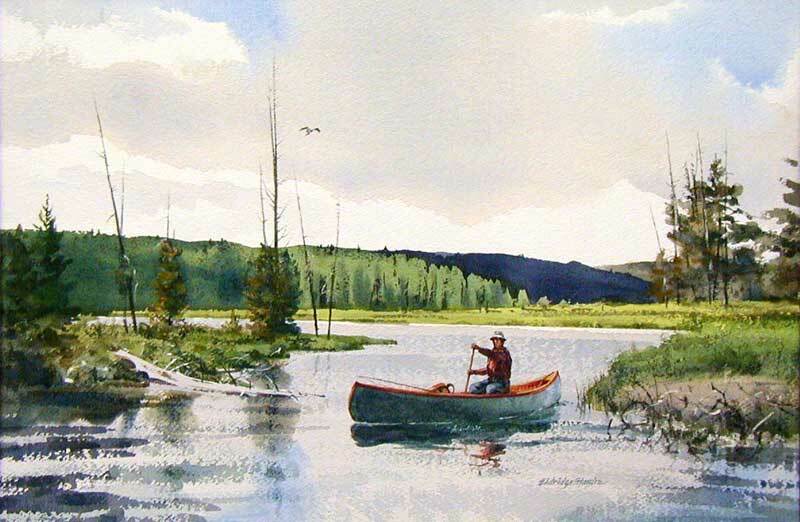 “This excellent album of paintings is proof enough that Eldridge Hardie is as good as any painter alive in depicting not only the beauty of nature but also the subtle psychological tug in any fishing or hunting scene. 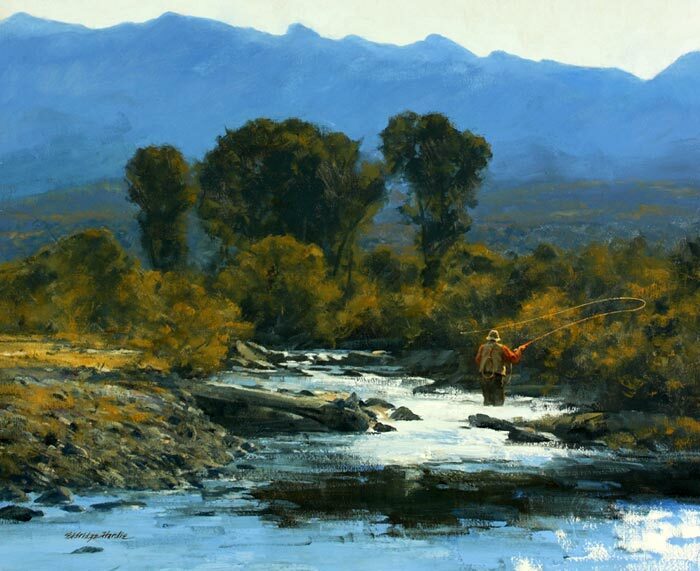 Eldridge Hardie gets it and he’s put it on canvas for all to enjoy in a truly important body of work,” Christopher Camuto, Gray’s Sporting Journal. In 2009 Sporting Classics Magazine chose Eldridge for their annual Award of Excellence in Art putting him in the company of previous honorees Bob Kuhn, Robert Abbett, and Chet Reneson. Also, the Fresh Water Fishing Hall of Fame named him a Legendary Artist. In 2011, Hardie was honored as the featured artist at the Southeastern Wildlife Exposition in Charleston, South Carolina. 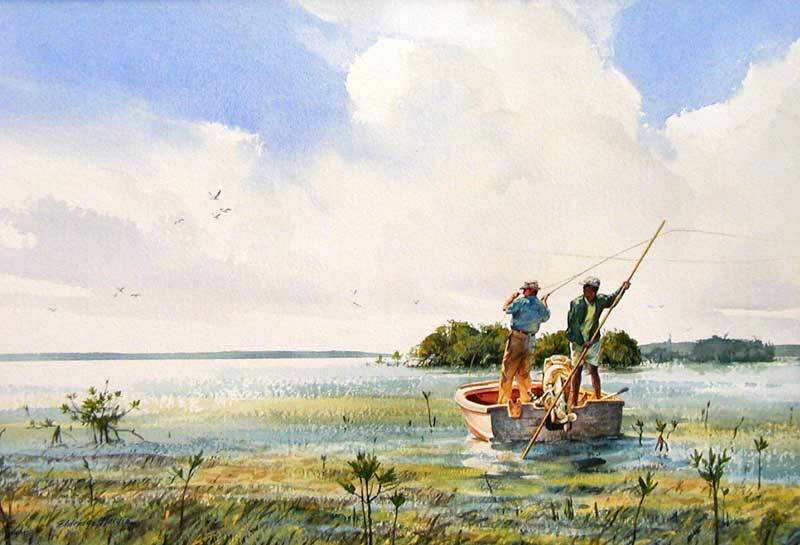 Eldridge Hardie’s paintings and drawings enhance numerous books about shotgunning and angling and have appeared in Southwest Art, Sports Afield, Field & Stream, National Wildlife, Gray’s Sporting Journal, Sporting Classics, Double Gun Journal, Shooting Sportsman, Fly Fishing in Salt Waters, as well as other sporting magazines. His designs were chosen for two Texas Quail Stamps, two Texas Turkey Stamps and one Texas Upland Bird Stamp. 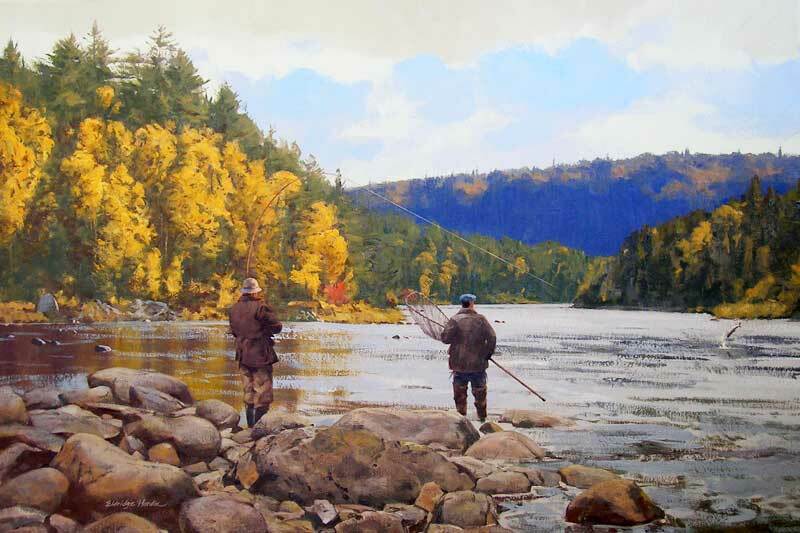 He was the inaugural Trout Unlimited Artist of the Year and an Atlantic Salmon Federation Artist of the Year. Prior to his concentration on sporting themes, he illustrated J. Frank Dobie’s Rattlesnakes, Little Brown & Co., and Now You Hear My Horn, by James Nichols, University of Texas Press. Hardie is represented by The Sportsman’s Gallery in Atlanta and Beaver Creek, Colorado, Collectors Covey in Dallas, and J.N. Bartfield Galleries in New York.